There are easier ways to start your feature film directing career than tackling a project like American Jihadist. While his career in directing commercials, television and other film projects, including the highly acclaimed post-9/11 "I Love N.Y." campaign, has spanned over 20 years, American Jihadist marks the feature film debut of Hype Media, Inc. founder and CEO Mark Claywell. The film, which follows the life journey of Isa Abdullah Ali, a Washington D.C. born African-American Muslim whose life has taken him from the brutal streets of D.C. to a self acknowledged freedom fighter labeled a "known terrorist" by the U.S. Defense Department. Claywell chatted with The Independent Critic recently about American Jihadist and the questions, both big and small, that it raises. Isa Abdullah Ali, Subject of "American Jihadist"
Talking to Claywell for just a little bit leads you quickly to conclude that Claywell seems almost stunningly normal for a guy who has spent the better part of the years post-9/11 working on a project that has caused him to travel throughout the world including a number places where you wouldn't think he'd be very welcome including Bosnia, Lebanon, the border of Iran and the relative safety of the good ole' U.K. Claywell's response? "I was more fearful in Southwest Washington D.C. than any other place," while acknowledging that Lebanon was "a little scary, but I felt fine." "Hezbollah was camped out in the Parliament area. We had a few confrontations, but ultimately it was more for show." Claywell considers American Jihadist "an opportunity for younger generations to see the impact of years of actions like the Russians invading Afghanistan and our own blind anger in America over 9/11." "Isa was a perfect subject" for the film, according to Claywell, "an African-American who speaks our same language." The original plan for American Jihadist, according to Claywell, was for it to be a series featuring several stories just like that of Isa Ali's. Claywell is quick to point out that there are others just like Ali, each with different stories and different motivations. When I remarked that I was surprised the domain name was even available, Claywell laughed and pointed out that it all worked out because "American Jihadists" was taken but "American Jihadist" was available. American Jihadist came about both as a result of a festering curiosity of Claywell's and the journalism background of the film's producer/writer Jody Jenkins. According to Claywell, "Jody is a journalist. He was working as a freelancer in Bosnia and saw Isa's "Wanted" posters and researched it." Originally, Jenkins had planned to write a book or an essay on Ali. However, continued conversations between Claywell and Jenkins gave birth to the idea for a film. While Claywell had a 20-year history in film, his status as a newcomer kept him from receiving any of the multiple grants for which he applied to help finance the project. Finally, the two simply decided after having established e-mail contact with Ali to simply fly to Bosnia with camera in tow. "Um. Didn't you think about Daniel Pearl? Or have any hesitation," I asked? "I had lots of hesitation. Isa was never overly optimistic. He wrote these e-mails, long sentences stringed together. No punctuation," replied Claywell. "Maybe he was concerned that someone was monitoring his e-mail," he added. Once arriving in Bosnia, Claywell explains that he and Jenkins "traveled 2-3 hours into the mountains during the winter. We were the only people in the hotel. There were no Americans. Nobody spoke English. It was pretty intimidating." "Yet," Claywell explains, "Everything I'd read up to that point told me that it was worth the risk. If he'd been spewing anti-American slogans, I'd likely have ended it right there. He wasn't. He was thoughtful, though I was pretty intimidated the first time." "It had to be just as intimidating for him, I'd think. He had a lot to lose," I responded. "Exactly. We were sitting there in the hotel waiting for him, but he was late. I got the sense that we were being monitored, too. He's worked many sides of the coin. However, he did have ego enough that I'm sure he thought he could get out of just about anything," replied Claywell. Mark Claywell is a married father whose children are "too young" to quite grasp the extraordinary journeys of their father over the past few years, though they're used to his traveling for his film jobs. His wife? "Less than happy. I was more scared of her than I was of Isa Ali," Claywell shares with a laugh. A nervous laugh. American Jihadist was winner of the Grand Jury Award for Best Documentary at the 2010 Slamdance Film Festival, and has gained international praise for Claywell's ability to objectively film Isa Abdullah Ali without editorializing him either for or against. While acknowledging that he's certainly received criticism for the film, Claywell and Jenkins too great care to ensure American Jihadist was "not a propaganda film." He wanted to make a film without, in his words, "any corporate journalism" and to "Let Isa talk." While Claywell is aware that some will see Isa Abdullah Ali as either "good or bad," he believes strongly that Ali's story is a story that needs to be heard and that the film also offers the opportunity to "dispel some myths including that Islam is inherently violent" and to look at "how we label." Is Isa Abdullah Ali a freedom fighter? Or a terrorist? How you ask the question is perhaps as important as how you answer the question. When it came time to discuss the obvious "elephant in the room" question of "Did anyone harass you or question you about the film? Government? Religions?," you could almost feel this sense of awe in Claywell's voice as he contemplated that yes, indeed, this modestly budgeted indie doc had garnered attention far and wide but, perhaps most intimidatingly, by our own government. Claywell recalls early on in the process of planning the film an "e-mail being delayed by hours," and his own realization that it was likely being monitored through some government gateway. Claywell recalled an episode "when Jody was moving from the U.S. to France and we had just submitted a Freedom of Information Act request from a relative's home phone. Later, this same relative was having some phone trouble. The Bell South tech came out, checked out everything and left. Eventually, they came back and said "I'm probably not supposed to tell you this, but I found a listening device" that had been placed as far away as possible where conversations could still be heard. Claywell also shared about efforts to interview Dawud Salahuddin, aka David Belfield, on Kish Island, a Free Trade Zone in the Persian Gulf. Salahuddin, historically a friend of Ali's and an African-American Muslim wanted for the 1980 murder of a former press attache' in Washington D.C., was arrested on Kish Island shortly before Claywell and Jenkins were scheduled to arrive and another person at that same time would be arrested and has been missing for over four years (only recently has some evidence surfaced they are still alive). Clearly, from the early days of Claywell's filming of American Jihadist, he himself had garnered the attention of the American and other governments. Despite these challenges, a key vision for American Jihadist is for the film to reach these areas in the Middle East. 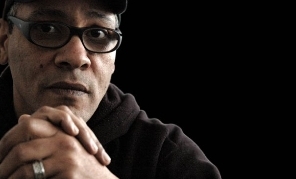 The film has been submitted to virtually all of the Middle East film festivals, though Claywell believes "governments are not allowing it to be seen"... at least this was true until recently when the film was invited to be screened at Doc a Tunis, a Tunisian documentary film festival. Claywell is also planning a narrative feature based upon Ali's story. Antoine Fuqua (Training Day) was initially interested in the film. "Ultimately, he backed out. However, we're writing the script and trying to keep the ball rolling," states Claywell. When asked what really attracted him to, in particular, Ali's story, Claywell comments that "I've always been attracted to the films of the 70's...films like Apocalypse Now...difficult, challenging films with dark, complex characters like Sheen and Brando's characters. Isa's story was "dark and compelling," he concluded. Given the rather brutal honesty of American Jihadist, it's hard not to wonder how Isa Abdullah Ali felt about the final product assuming, of course, that he's actually seen it. Claywell acknowledged "I was terrified to show it to him. Nervous. He saw it well after it was done." Claywell added that Ali responded after seeing it that "It was like watching somebody else's life, but that he was touched by it." The two are still in touch. Isa Abdullah Ali is still living in Bosnia with his three children, a challenge in the ethnically sensitive region, and his wife. Claywell acknowledges that making the, at times, quite intense film had an impact on him as he spent hours and days and really years "looking at news footage and suicide bombings" and "being around violence," but that he was committed to not letting it affect how the film was made or turn the film into an editorial. So, Mark, Why do people kill in the name of religion? "People are complex things. It's not "this one thing happened." People want these sound byte answers as to why people kill. Religion. Poverty. They were bullied as children." Claywell, at least on a certain level, understands the factors that led to Ali's life choices though he doesn't agree that violence is the answer. "He was bullied as a child, living near all that wealth in Washington D.C. but being clear that he'd never be near it. When you have no hope, why worry about society? It's like these choices became part of his psychology," though Claywell also points out that Ali had siblings who grew up in the same neighborhood with the same experiences yet who have chosen differently, become successful and even become lawyers. "It's never one thing," as Claywell stated. After the intensity of our conversation, even I felt a need for a breather and I attempted to steer the conversation towards a lighter question "What do you do to relax? You DO relax, right?" "I have kids now, that takes a big amount of my time and energy. I love exercise, running. I'm a commercial director, which helps distract me...but, I'm rather political." With the film having been picked up by Breaking Glass Pictures here in the U.S. for a DVD release even as it continues on its film festival circuit, Claywell points out that he's retaiend the rights for streaming and DVD in most of the Middle East countries where he sees hope that the film will continue to attract attention and, hopefully, a wider audience. He refers to the film's life as "not a normal 6-12 month life of festivals followed by HBO or PBS. They would step all over the film and it would become something it's not." Claywell knows, just knows, that there's a wider audience for the film and points to having run a Facebook ad for 24 hours only to Egypt with "independent film" being a common "like" and having attracted 1.5 million eyeballs while having acquired 500 new friends. For more information on American Jihadist, visit the American Jihadist website and watch this website and our Facebook page for upcoming screenings and release news. Visit the Breaking Glass Pictures website to pick up your copy of American Jihadist.